ok so ppl plz post if your going or if we need to change the date, i really want as many ppl to go as possible. 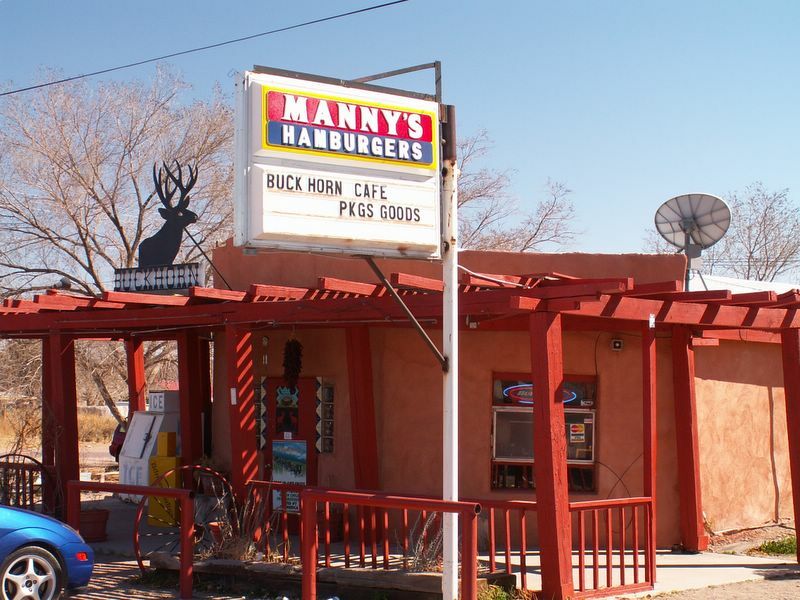 cruzing to: San Antonio (New Mexico, south of Socorro) for the 7th best hamburger in the country.... lol where ever this is??? or the place?? Kewl ??? what is the place called?? i will also be posting this on 7club soon, so we can get as many ppl to go that rock the rotary goodness. Looks like I won't be in town on the 25th. I'm heading back to GA for a week. My sis is having a baby. I might get my car back this week, though. I was thinking that we ought to go out and showoff some rotary muscle on monty this weekend. I'd love to get a few 8's and 7's out there! SikRedRx-8 knows how to make a quick exit if we need to! Oh, by the way gents. I'm having Tom at RotaryRX make-up a custom 3" exhaust for me. We are doing a unique setup with 3" pipe all the way from the turbo back. We're leaving the stock muffler in, though. I didn't want too much sound, but I think the 3" pipe will let the car breathe a lot better. And from the TurboXS results, even the NA guys can get 10-20 ponies from it. I'll keep you posted. Sounds cool... I'll plan to attend, unless something unexpected comes up. As an aside... my father-in-law started hosting an Auto-X at our church a couple of years ago in the summers... it usually gets good attendance. The place is off Juan Tabo just north of Montgomery. We're going to be starting those up again pretty soon. If anyone's interested in coming I can post details as I learn more... I think it's going to be on Saturday April 1st... dunno what time though. It's free of charge and just for fun. 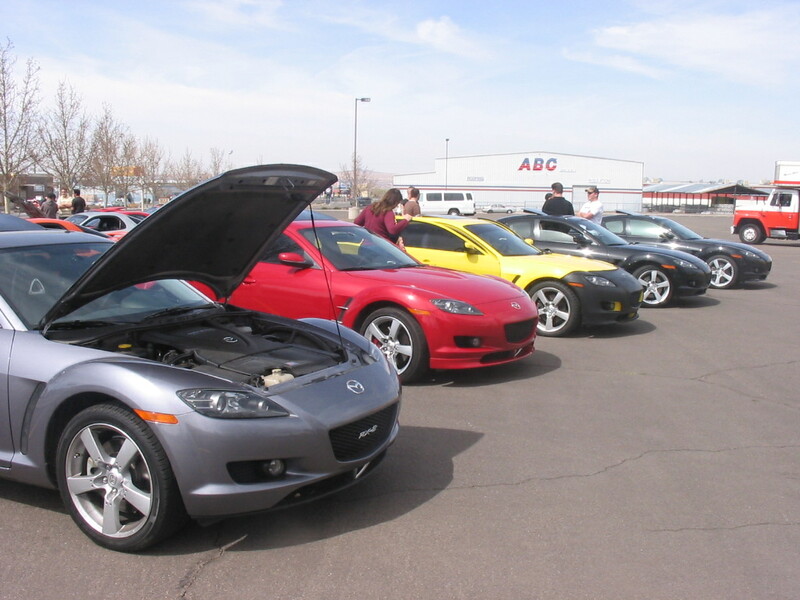 I've never seen any 8's (or 7's for that matter) show up but there are a pair of SCCA Miatas that came regularly last summer and made all the corvettes/350Z's look bad... hee hee. ^ count me in for that! Keep us posted on the details. so the burger place that we are going to, what is it called?? Its Manny's Hamburger....and I'll be at the American Furniture Warehouse parking lot a little before 10am on the 25th. I'll bring along the computer and interface in case anyone wants to scan their 8. Last edited by Kewl; 03-17-2006 at 02:44 PM. As of this moment I have no idea if I will make it. Lowes delivered my wifes new stove last Sat. SMASHED all to hell. Now they are supposed to be bringing a new one tomorrow morning between 8 and 12. If it is like last weeks delivery they were here at 8:30, so if that is the case then we will be there, if not well then have a great time everyone. Please keep us updated on the auto X. I am interested in giving it a go!!! Will do... afaik it's still on for April 1st... I'll have to find out what time we're planning on starting it up. I'm hopeing to make it on the March 25th drive... I should have more info by then (and I'll also keep things updated here too). Is this still on?? This would be a first for me. What goes on at these?? Yes it is still on for March 25th. 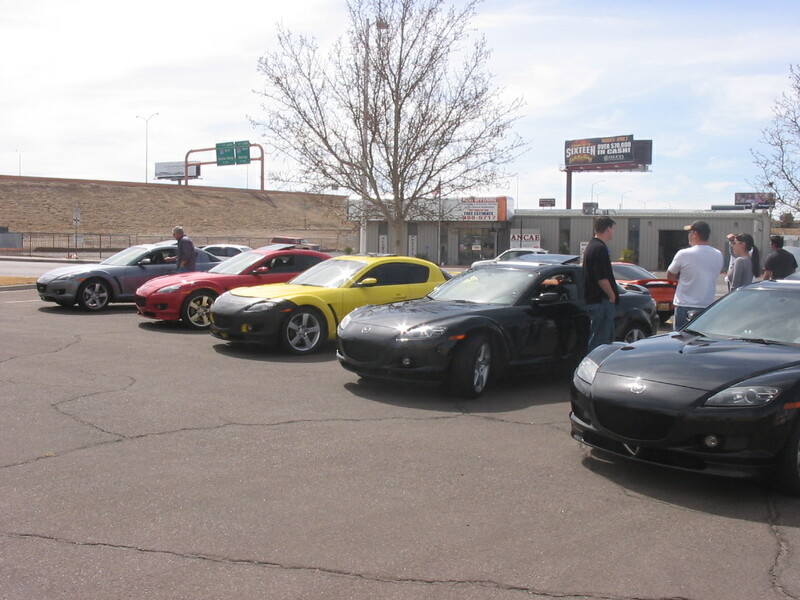 We plan to meet at Comanche and I-25 at 10am in the south facing parking lot of the American Furniture Warehouse. Don't confuse this place with the American Furniture Store at Menual and Carlisle....not the same place!!! 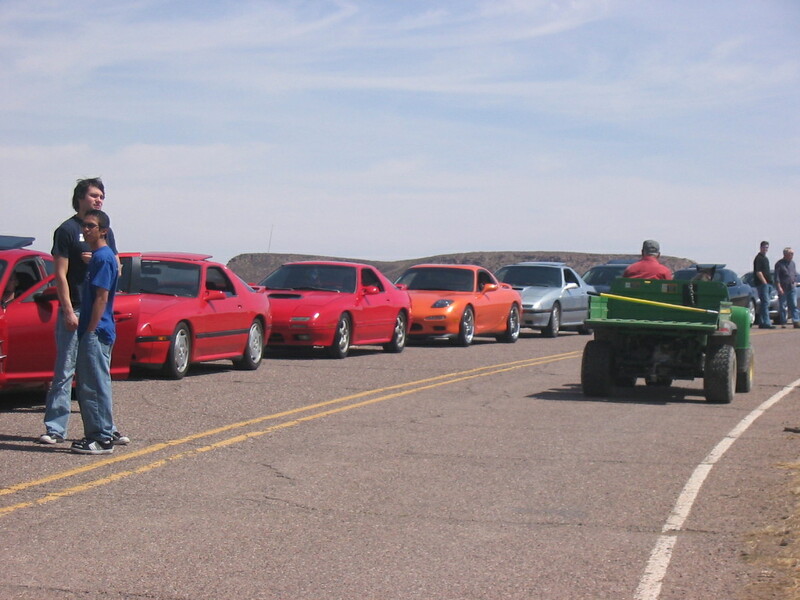 We will take sometime to meet everyone going and then drive south to San Antonio New Mexico which is south of Socorro. We will have lunch at Manny's Cafe....rated as having the 7th best hamburger in the US. From there drive back north to highway 60 to 331 and I-40. 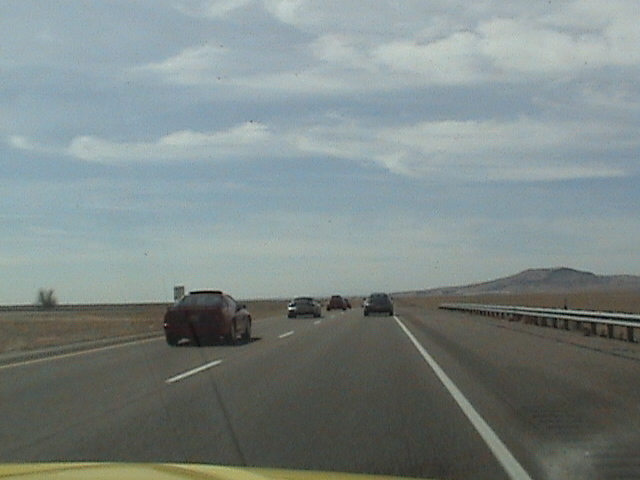 This highway - 60/331 - are fun roads to drive in the 8. Join us! A good time is slways had by everyone. Last edited by Kewl; 03-19-2006 at 06:30 PM. i hope everone is still planing on going, got some of the 7's crew from rotaryRX to tag along. I think I should be able to make it now. Weather is going to be great and the roads on the way back give some twists, very low police activity and mountain views. It's good excuse to get out of the house or a sick day at work to enjoy your 8 or 7. SikRedRX-8 glad to hear you should be able to go. Ace1810 (Steve) are you going to be able to make it? Faffy (Csaba) are you going to be able to make from Los Alamos? I know it will be a really long trip for you. We are going to make it!! Can't wait to see everyone and get some great pictures as well!! Who else will be joining us??? Wish I could. I'm in GA until 4/2. Tom at RotaryRX has my baby while I'm gone. He's getting a 3" exhaust setup fab'd for me - along with a couple of other things. You 8 owners should go see Tom. He's got some plans for his biz that you guys should hear about! I can't wait to get back and hear (and hopefully feel) the results! If it helps me keep a couple more psi in the top end, I'll bet on 300 to the wheels. Anybody want to jon me for a dyno session the first week in April? T is just mad cause no one likes him anymore. Oh yeah still have your pump, man that redline and royal purple made me love my car again. Well it is the morning of the Rotary Roll out and we will see all of you soon! 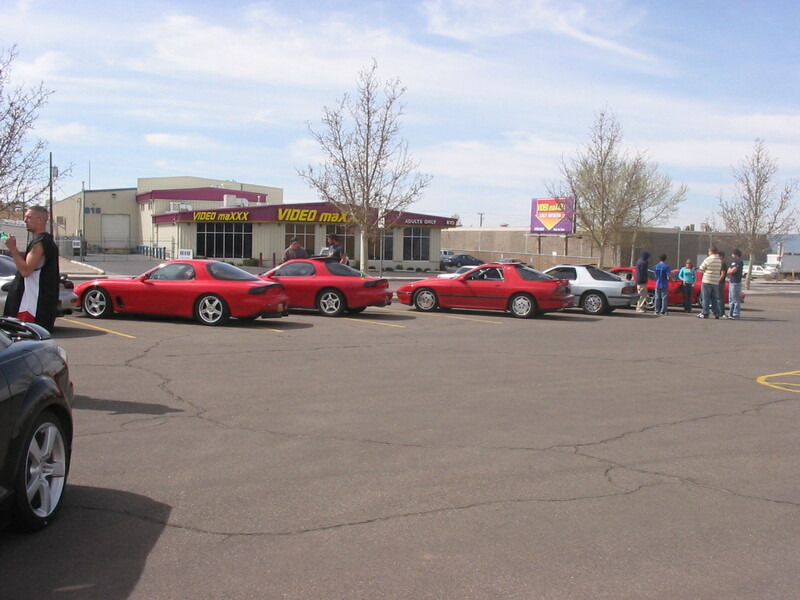 Well we had a great turn out for the Saturday drive. 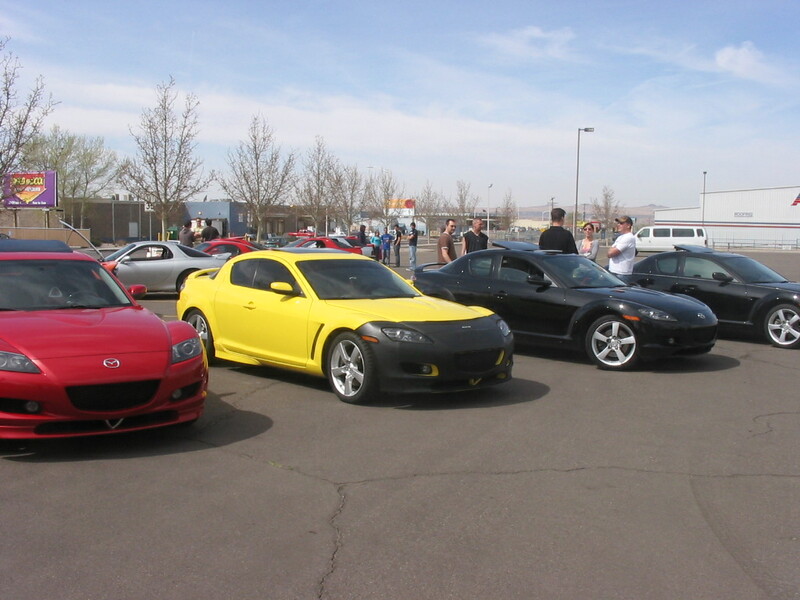 However the RX7s far out numbered us poor RX8s. Hopefully our fellow 8 owners won't let that happen to us again. Right!? The drive was a bit longer then we might have wanted it to be. I guess I didn't realize the mileage everyone was getting, so it wasn't considered as it should have been for the drive. There aren't many good gas station along the route we took. Sadly the best part of the road was blocked by slow drivers so we didn't get to have as much fun as we were hoping. But if you didn't know about the road, you do now and can easily get back to it on a better day.